The semi-finalists had to impress an independent panel of twelve judges about their knowledge of premium Northern Irish Angus beef production and particular aspects of Northern Ireland farming that interested them. The pupils who ranged from 14-16 years of age were representing: Aughnacloy College, Co. Tyrone; Ballycastle High School, Co. Antrim; Ballymena Academy, Co. Antrim; St. Ciaran’s College, Co. Tyrone; Coleraine Grammar School, Co. Londonderry; St. Colm’s High School, Co. Londonderry; Fivemiletown College, Co. Tyrone; Glastry College, Co. Down; St. Patrick’s College, Co. Londonderry; Slemish College, Co. Antrim; Rainey Endowed School, Co. Londonderry; Royal Belfast Academical Institution, Co. Antrim; and Wallace High School, Co. Antrim. The Finalist teams will be announced in April. Each team will then be presented with five Aberdeen Angus x calves at a high-profile public event during the Balmoral Show in May. They will go on to rear their calves through to finishing over an 18-month skills development programme covering insights into ABP’s Blade farming beef production model from farm to fork. They will benefit financially from the profit at sale of their calves to ABP. One overall winning team will also receive a £1,000 cash prize for their school. 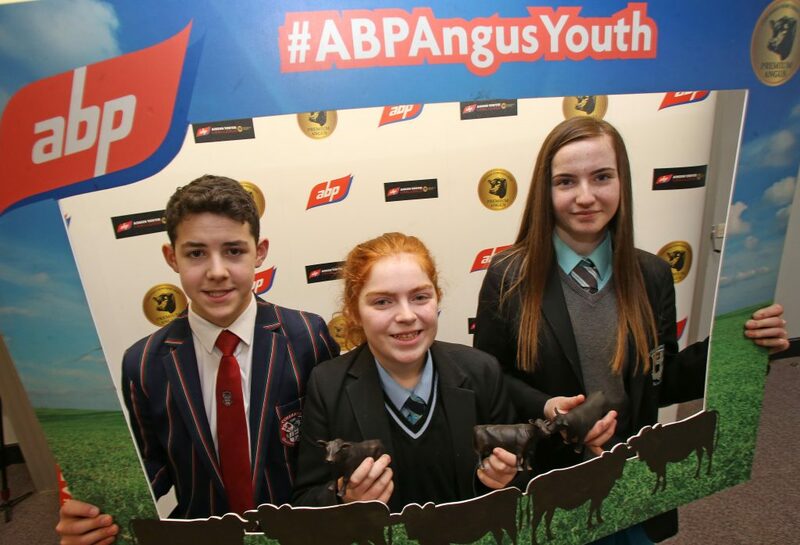 The ABP Angus Youth Challenge is organised in partnership with the Northern Irish Angus Producer Group. Judging the semi-finalists were representatives from leading organisations across the farming, agri-food and education sectors.